It’s the small things that highly matters in a happy relationship. 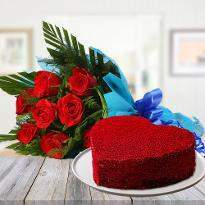 If you want to express the feeling of love to the most special person of your life, flowers are the perfect way to do. Different varieties of flowers express a different emotion. 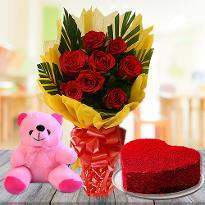 If you are planning to show something special to your special one on the occasion of valentine's day then go ahead with online Valentine's day flowers. 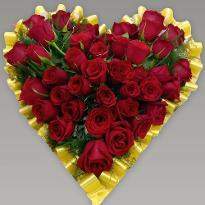 Winni provides online delivery of Valentine's day flowers in Ghaziabad. 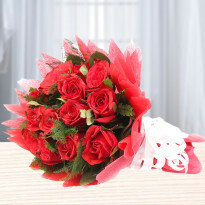 Express your love with a beautiful bunch of red rose bouquets. 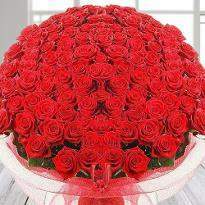 Red roses signify innocence as well as purity. 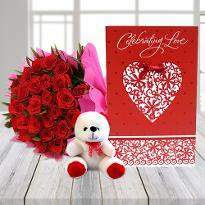 Give this fascinating as well as unique collection wrapped in pink cellophane to give the romantic feel of a Valentine occasion and send Valentine’s day flowers to Ghaziabad. 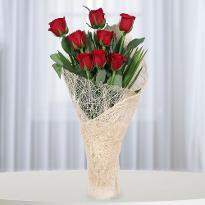 Not just roses but you can now send an excellent collection of fresh flowers on Valentine’s day. 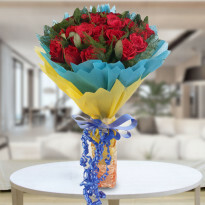 A lovely fresh bunch of red roses for all happy occasions, wrapped up in beautiful colored cellophane may be an ideal gift for your dear ones. 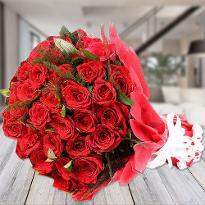 Give this Valentine’s Day flowers to Ghaziabad, and this will extraordinarily illustrate your sentiments with red rose flowers. Cheer up today with our magnificent floral arrangements as well as gifts for the ones you care about. Buy a unique gift for the special person in your life. This Valentine’s Day give your love, your better half with the beautiful bunch wrapped in white butter paper tied with silky blue ribbon. 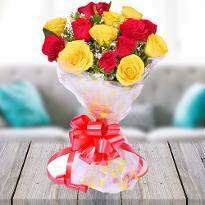 Our Ghaziabad flower delivery service will make this beautiful gift for you and your loved ones. 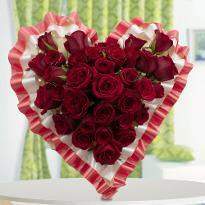 Send Valentine’s flowers to Ghaziabad for this occasion. Our specialist florists will hand-deliver this beautiful gift right to your recipient’s front door. 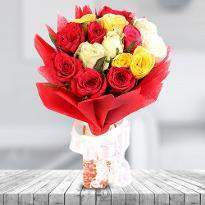 Trust our beautiful bouquets that fit your budget as we have a midnight home delivery option. We have a legacy of delivering flowers anytime and anywhere. Try us! Don’t reconcile for flowers that reach your destination in a dull box. 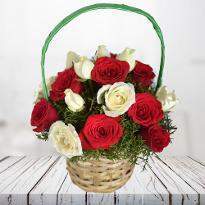 With Ghaziabad Floral store, your Valentine Flowers to Ghaziabad will be decorated as well as hand-arranged and delivered at any place in the nation. 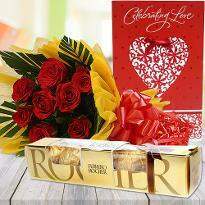 Want to express your love for a special one? So, why not say it with the most meaningful gifts? 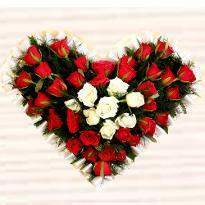 Yes, now send a bouquet of joyful flowers to your special one in Ghaziabad that will help you reveal all your feelings for that person. 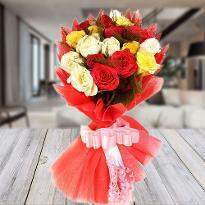 So, make the most beautiful gesture towards your someone special with our flowers delivery in Ghaziabad. Being a perfect city, Ghaziabad never fails to celebrate the occasion with vigor. 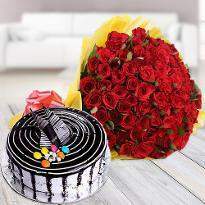 Winni understands what keeps the city’s heart beating and that is why, we have come up with a range of scintillating flowers, cakes and hampers so that no occasion is left a miss. Are you looking for the best options and couldn’t find one? 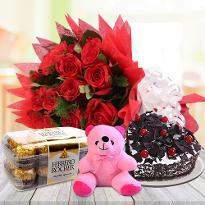 Ever wondered, “what could be most beautiful choices for flowers and gifts near me Ghaziabad? 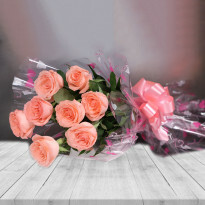 Well, your worries are sorted because Winni, your reliable flowers shop in Ghaziabad is all set to deliver flowers to your near and dear ones. 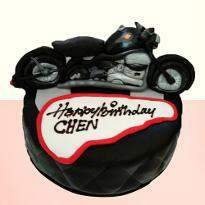 Do you want to choose the best options for your special one? 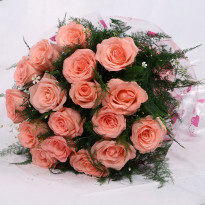 Buy and send the most scintillating flowers for your special one and make their days special. 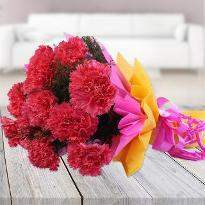 Winni offers you consistent flowers delivery so that you can book flowers and make moments magical. 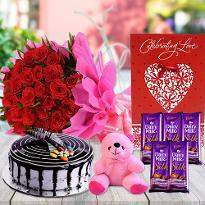 Jump over all boundaries of love and present your special one with beautiful yet unique Valentine's day flowers and chocolates and gifts. 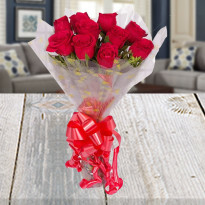 Send love and Valentine’s day flowers online and surprise them like never before.